When active rehabilitation programs were first introduced for people with a spinal cord injury after the Second World War, activities to build up strength were an integral component. It was seen that patients needed to be strong and physically fit to be independent in a world where wheelchairs were heavy and awkward, and disability access had not yet been thought of. Exercises included tossing and catching medicine balls, climbing ropes, and lifting weights. Weightlifting competitions soon became part of regular sports days within and between spinal units. In early years, the standard event was the pull over and press, later replaced by the bench press. In 1964 weightlifting was introduced into the Paralympic Games in four classes, from featherweight to heavyweight, contested by male athletes with spinal cord injury. In 1976, the number of bodyweight classes was expanded. In 1980, separate weightlifting classes were introduced for amputee athletes, and in 1984, another lifting discipline known as Powerlifting was added to the Paralympic program to include athletes with other disabilities. At the 1996 Games, all eligible classes were integrated into Powerlifting, which became the only Paralympic lifting sport. Events for women were introduced in 2000. Athletes generally have an impairment which affects their lower limbs. They must meet minimal disability requirements and have the ability to fully extend the arms with no more than a 20-degree loss of full extension on either elbow to make an approved lift. Powerlifters compete in 10 bodyweight categories – from 48kg up to +100kg for men, and 40kg up to +82.5kg for women. Competition is open to all athletes with spinal injuries, cerebral palsy, amputees and other competitors who meet the minimal disability criteria. Elite powerlifters often lift more than three times their bodyweight. Powerlifting is a technical and tactical sport. Athletes must benchpress the weight in a controlled way that is judged by three referees. Each athlete has three attempts to lift the heaviest weight in their bodyweight category. If two lifters achieve the same weight, the one with the lighter bodyweight places ahead of the other lifter. Australia has a proud tradition in Weightlifting and Powerlifting, winning a medal at every Paralympic Games from its introduction in Tokyo in 1964 to Beijing in 2008, except 1984. 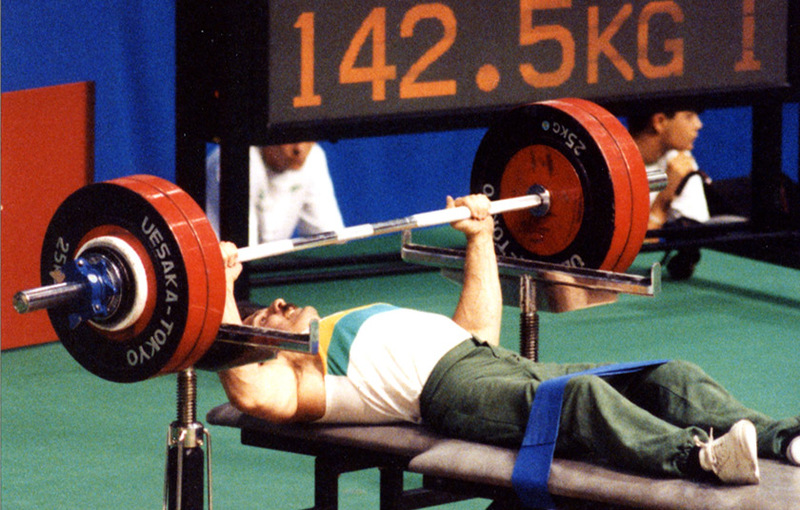 In total, Australian lifters have won 17 medals – 4 gold, 8 silver and 5 bronze. In 2016, for the first time since Weightlifting or Powerlifting were introduced into the Paralympics, Australia did not have any representatives.